Despite winter conditions which were still harsh for the machines and men, the 23rd edition of the Winter Cup validated the positive dynamic that prevails this season within Birel ART Racing. Although failing to obtain all of the successes that were possible, the team has achieved many remarkable performances in several categories, starting with the top five for Pizzi in Junior. Team Manager Davide Foré takes stock of this Winter Cup, where success was not always commensurate with the quality of equipment and drivers: "We are a racing team, it is above all the spirit of competition that drives us. We cannot rejoice when the results do not reward the work of the team, the drivers and technicians. However, the 2018 Winter Cup brought us a lot of satisfaction despite the very low temperatures and an often slippery track. It was very difficult to find the perfect balance in these reduced grip conditions. However, the performance of our chassis was very convincing in OK-Junior and KZ2, as Pizzi and Longhi showed. Our top driver in OK, Marijn Kremers, was taking part in another programme so we could not work with him as usual, but the 4th place for Oliver Hodgson, on a Birel ART with Team PFI, and the Final recovery of Coluccio showed that we were also on the right track. As far as engines are concerned, I thank Daldosso in KZ2." Francesco Pizzi has confirmed his previous performances by completing an excellent meeting. Fast against the clock, several times 2nd in the heats, he kept up the pace to finish in the top five among nearly 90 drivers. The young Thomas Dijkstra has good speed potential, but his distant position in Qualifying did not help him this time. He is, however, very happy with his equipment and achieved great things in the heats thanks to his ability to pass. Paolo Gallo competed in his first race under the colours of Ricciardo Kart. As fast as Pizzi during practice, he then encountered some difficulties and found himself in a complex situation to while learning race management. Riccardo Longhi undoubtedly had a machine to win in KZ2. Penalised twice, he still had every chance at the start of the Final when his gear shifter gave way. However, everyone could appreciate his performance and that of his kart this weekend. Rick Dreezen suffered a mechanical incident at the end of the Super Heat where he had returned to 3rd position. As for Alexander Dahlberg, his 8th place in Super Heat gives an idea of ​​his potential. 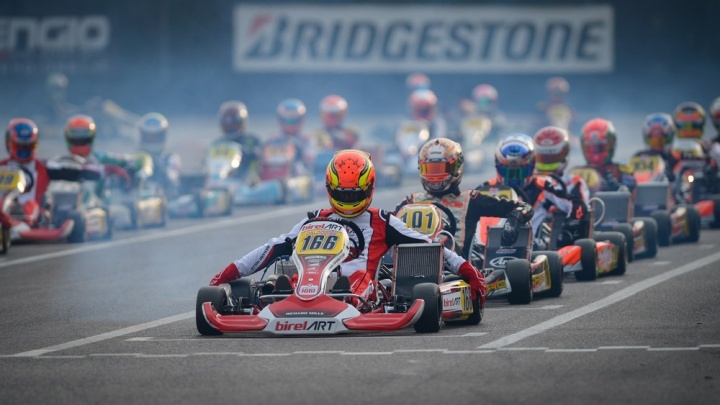 The entire Birel ART Racing team is looking forward to racing again in less than two weeks at the same Lonato circuit for the second round of the WSK Super Master Series, which is expected to take place in milder weather conditions.